This book is a new introduction to the history and practice of economic anthropology by two leading authors in the field. They show that anthropologists have contributed to understanding the three great questions of modern economic history: development, socialism and one–world capitalism. In doing so, they connect economic anthropology to its roots in Western philosophy, social theory and world history. Up to the Second World War anthropologists tried and failed to interest economists in their exotic findings. They then launched a vigorous debate over whether an approach taken from economics was appropriate to the study of non–industrial economies. Since the 1970s, they have developed a critique of capitalism based on studying it at home as well as abroad. The authors aim to rejuvenate economic anthropology as a humanistic project at a time when the global financial crisis has undermined confidence in free market economics. They argue for the continued relevance of predecessors such as Marcel Mauss and Karl Polanyi, while offering an incisive review of recent work in this field. 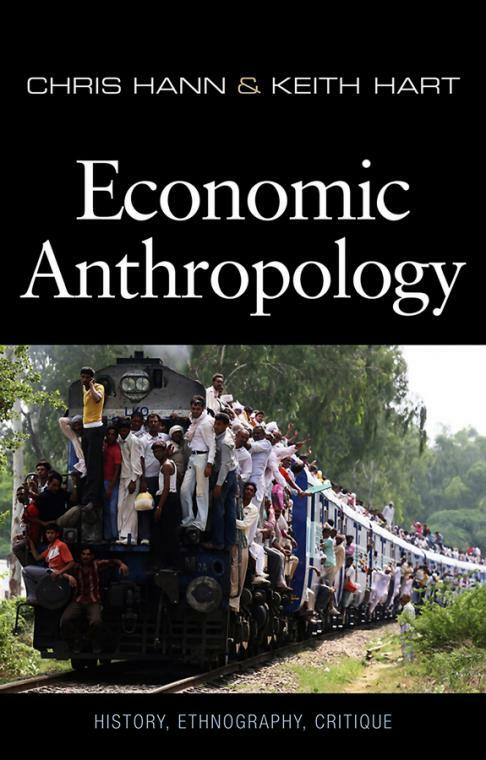 Economic Anthropology is an excellent introduction for social science students at all levels, and it presents general readers with a challenging perspective on the world economy today. Chapter 9 Where Do We Go From Here? "This is a 'big book', tackling big questions in deceptively simple prose." "Both authors draw on their considerable ethnographic experience to offer a rich run–through of economic anthropology, and trace its intersection between the primary disciplines of economics and anthropology and against thematic currents such as Marxism and feminism." "Educational and intellectually stimulating, it will benefit both economic sociologists and economists." "Offers a methodological and analytic platform which could make this field more relevant for policy making, create a more fruitful dialogue with economics, economic sociology and history, and make scholarly work more accessible to the wider public." "Hann and Hart offer the most sophisticated history of economic anthropology that I have seen. Using a humanistic perspective, their descriptions of the 'prehistory' of economic anthropology and of the socialist and postsocialist eras are neatly joined to an account of research in the twentieth century." "Now that neoliberal economic theories are becoming as discredited as state–socialist ones, Chris Hann and Keith Hart set out the case for 'human economics' focused on addressing both the moral and material needs of humanity – market as well as non–market. This is a brilliantly executed work which breathes new list into both disciplines – Anthropology and Economics. At a time when national and global economic thinking and policies seem moribund, this intervention could not be timlier."